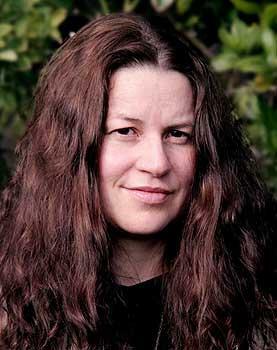 Innovative digital video artist Rachael Rakena will become a Senior Lecturer at Massey University’s School of Fine Arts from June 2013. Head of the School of Fine Arts, Heather Galbraith, says the school is delighted to welcome Ms Rakena, who comes to the College of Creative Arts in Wellington from nine years teaching within the highly respected Māori Visual Arts programme at Te Pūtahi-a-Toi, Massey University Palmerston North. Ms Rakena is of Māori (Ngāi Tahu, Ngāpuhi) and European/Pākehā descent. She works in moving image and installation and holds a Master of Fine Arts (Distinction) and is currently undertaking a PhD. Ms Rakena is a highly experienced teacher and researcher with an impressive exhibition history within galleries and public space, most recently participating in the exhibition Contact: Artists from Aotearoa/New Zealand at the Frankfurter Kunstverein (2012), and mounting the ambitious new work Haka Peep Show, in Dunedin during the Rugby World Cup (2011). In 2007, Aniwaniwa a collaborative project with Brett Graham was included in the collateral events section of the 2007 Venice Biennale. Iterations of this work has been shown at Te Manawa, City Gallery Wellington, Waikato Museum and in Tasmania within the Ten Days on the Island Festival. In 2006, she and Mr Graham represented New Zealand at the Sydney Biennale with the collaborative installation UFOB, which has also been exhibited extensively in New Zealand. Other major international exhibitions of recent years have included Pasifika Styles at Cambridge University in the UK (2007-08), and in Dateline: Contemporary Art from the Pacific at Neuer Berliner Kunstverein, Berlin (2007).